I have already used Fluid ContentElements with FED and Flux and wanted to try to port my existing elements to TYPO3 6.1.5. I've read up on the recent changes with FED and thus installed EXT:flux and EXT:fluidcontent as advised on the project homepage. After none of my old FCEs worked out-of-the-box, I tried to create a very simple element containing only a text input field as a proof-of-concept and to learn the new ways of the FCEs. Why is my text input field missing? Where does the "Title" field come from? After updating the extensions and moving the file to its new location, the FCE works as expected. Not the answer you're looking for? Browse other questions tagged typo3 fluid flux fedext or ask your own question. 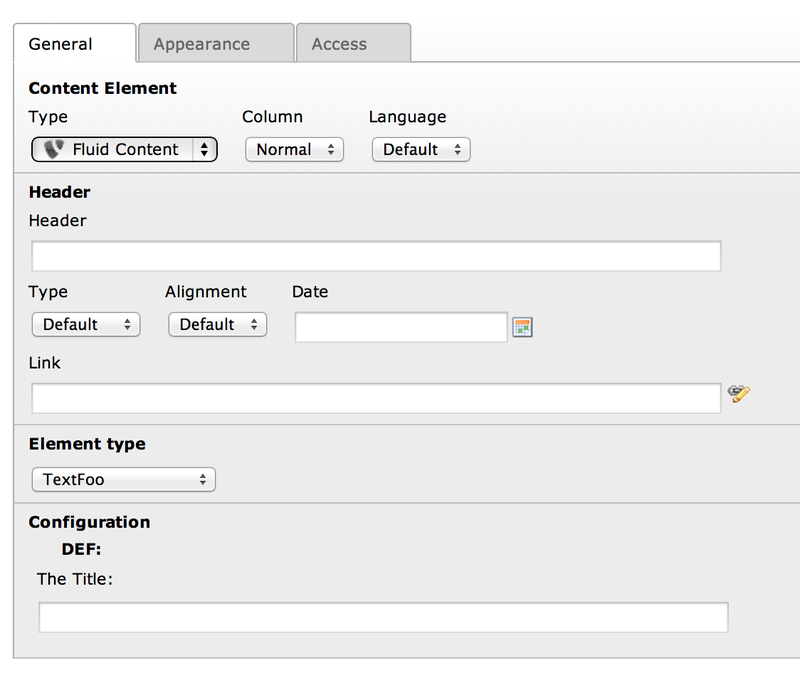 Typo3 Fluid: What is the correct way to render flux:flexform.field.wizard.link? TYPO3 Fluid: What is the best way to set up footer and header?